I think I’m going to need more than a little help here to write a somewhat coherent review… It’s been over a week since I finished reading A Conjuring Of Light, and I still have a book hangover. I guess that’s a good sign right? That and the fact that I cannot start talking about this book and series without sounding like a bat crazy fangirl or possibly spoiling something for those who haven’t read this book/series yet. Or most likely both. So this is me trying to explain to you why the Shades Of Magic series is without doubt one of my all time favorite fantasy reads while being completely spoiler-free! Basically, I arrived a bit late at the party and only started reading A Darker Shade Of Magic less than a year ago. I was a goner as soon as I read the first chapter; the prose, the worldbuilding, the plot, THE CHARACTERS!! I had an instant crush on this series and an instant new favorite author as well… I read both books in quick succession and then added myself to the evergrowing group of people impatiently waiting for the third and final book to be published. And trust me, I still don’t understand why it took me almost a whole month to pick up my copy of A Conjuring Of Light. I guess I wasn’t ready yet to say goodbye to some of my all time favorite characters… But I’m SO glad I finally read this third book. 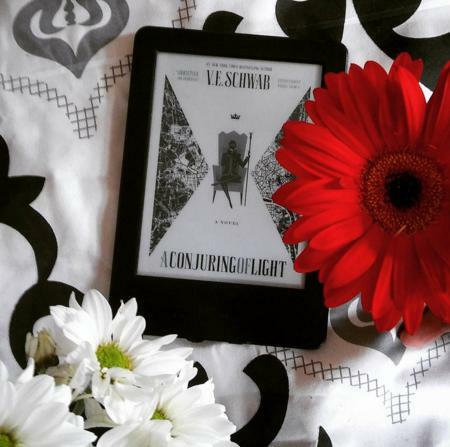 Forget the 600+ pages, forget the romance, forget anything else I forgot to mention; the truth is that I savoured every single minute of A Conjuring Of Light and I’m going to miss this fictional world. How much? 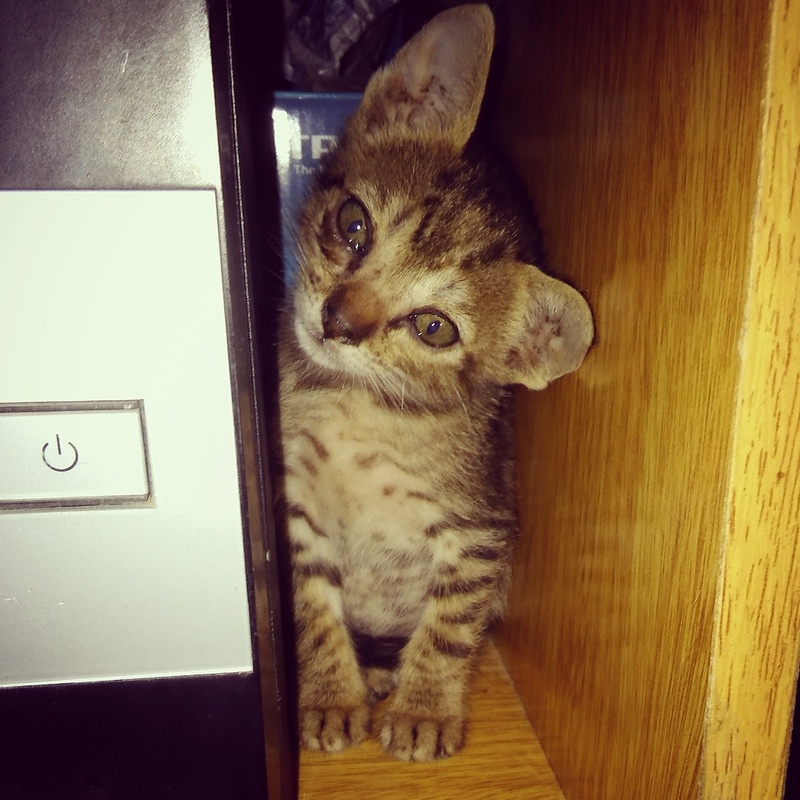 Let’s say I named my new kitten after Delilah Bard and leave it at that. All I can say is that if you haven’t tried this series and like the genre, you probably should! It’s so brilliant you’ll probably need sunglasses while you read. I guess my review has turned into a fangirl ramble in the end after all… Oops?! Although I guess it’s really had to talk about the plot and what happens to the characters without giving too much away to those who haven’t read it yet. Let’s just say that while I loved the second book a tiny bit less than the first book, A Conjuring Of Light came back strong again. It’s a bit long, especially if you compare it to the first book, but I personally didn’t mind because I wasn’t ready to say goodbye to the characters yet anyway. The ending was also satisfying and I really hope this won’t be the last we’ve heard of this fictional world. This first book of a new fantasy series has definitely been a case of instant cover-love, and I admit I was superficial enough to request a copy of Rose Petal Graves mostly based on the cover. The blurb was really promising as well: a story involving a poweful tribe of Gottwa Indians, ancient graves and mysterious things happening in a quiet town… Sounds great! Add the line that Rose Petal Graves is basically a mix between myth and fantasy and something between A Court Of Thorns And Roses and Pocahontas, and I was sold. Unfortunately, I dont’ think the actual story lived up to expectations. 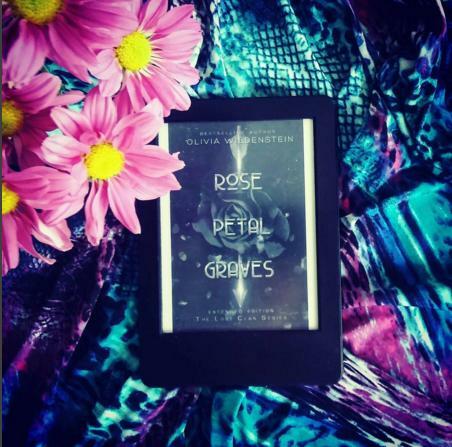 Rose Petal Graves started interesting enough and I still like the general idea behind this story (the mix of myth and fantast with fae and fae hunters), but I encountered quite a few problems along the way. The biggest turn off for me was also very much a cliche. Because Rose Petal Graves turned out to be yet another YA fantasy series destroyed by a… yes, you can already guess… a freaking LOVE TRIANGLE!! I’ve become seriously allergic to them, and this particular case is no different. Too many forbidden love interests and love triangles seriously distracted from the rest of the story, and the fact that the main character (Cat) changes ‘teams’ constantly doesn’t really help either. That leads me to another point: the credibility of the plot and the actions of the main character(s) in general. There were parts I just didn’t find credible at all… An example? Why does Cat trust the very same persons that might have hurt her mother? And why does she keep talking to certain characters after she finds out the truth? Thankfully it was a fast read at least and I guess those who don’t mind a love triangle or two will probably enjoy this story a lot better. I was actually really looking forward to this read, mostly because I haven’t read that many Indian-inspired stories before. Unfortunately, the story kind of fell flat for me. Annoying tropes like love triangles, problems with credibility of the plot and characters and a lack of dept in the Indian myths and fae world; it’s not a bad read, but I was hoping for something better. I would probably still read a sequel at some point though, just to see how things would develop over time. 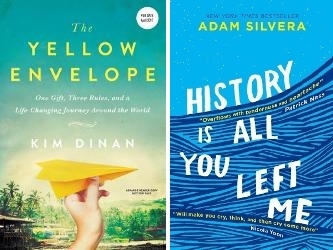 I’m currently about to finish one of my pending Netgalley ARCs: The Yellow Envelope by Kim Dinan. I was really looking forward to this travel memoir, but it sort of fell flat for me. Rather than a true travel memoir, this story has mostly been a (rather self-centered) description of the author’s failing relationship with her husband and feelings; definitely not what I expected at all and not as enjoyable to read… I’ve also started History Is All You Left Me by Adam Silvera, which I will continue as soon as I finish the memoir. I’m so excited to be finally reading it! Little Delilah Bard, Lila for short. * I also read The First City by Joe Hart, another final book in a trilogy… And I had a really hard time finishing this one. I’ve never liked the main character Zoey, but in this third book she is becoming almost impossible to tolerate. I’ve seriously considered DNFing it at various points… Her self-centered, annoying and whiney dialogues and actions made this read into a true struggle. The other POVs were slightly better, although I’m not too sure about the plot either. The ending is ok enough I guess. * The last read I finished is Rose Petal Graves by Olivia Wildenstein, which started out interesting enough and I liked the general idea behind this story (faes and fae hunters). That said, this turned out to be yet another YA fantasy series destroyed by a… yes, you can already guess… a freaking LOVE TRIANGLEEE!!! I’ve become seriously allergic to them, and all these forbidden love interests and love triangles just made me enjoy the story a lot less. Also, the main character changes ‘teams’ constantly and it’s not really realistic. Next up are two more ARCs… The horror story Silence Under Screams by Collin Henderson has been on my list for way too long already, so I’m hoping to finally read it this week. I also need to read Blood Moon by John David Bethel. After so many ARCs, I’m hoping to finally read more of my own books as well, and both Never Fade by Alexandra Bracken and Small Great Things by Jodi Picoult are high on my list. 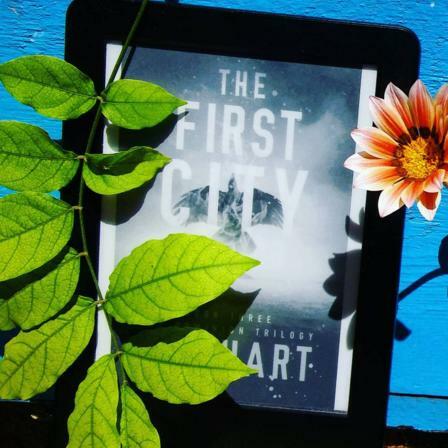 The First City is the third and final installment of The Dominion Trilogy I started reading some time last year. I remember not being completely convinced by the first book, especially because of the not-so-original dystopian plot and annoying main character, but I enjoyed the second book a lot better. This improvement was probably the main reason I decided to request a copy of the third book, although I don’t like leaving series unfinished either. Unfortunately, I don’t think The First City continued the same line of improvement seen in book two. In fact, I had a really hard time finishing this third book… Like I said before, I never liked the main character Zoey, but in The First City she is becoming amost impossible to tolerate. I have even seriously considered DNFing it at various points… Her self-centered, annoying and whiney dialogues and actions made this read into a true struggle. An example? Her thoughts are basically all about how she is only putting others in danger and that she should do everything alone; sacrificing herself for the greater good; just put that on repeat indefinitely and you get the idea. Luckily the other POVs were slightly better and that’s probably why I decided to see it through. The plot yet again isn’t all that original and I’m not sure if everything is completely credible, but the ending was satisfying enough even though a bit cheesy. All in all the best of this series definitely came a bit early. It’s the 2030s and the world Zoey has grown up in hasn’t been an easy one for women. Little girls stopped being born suddenly years before, and the natural balance could never be restored. Zoey grew up in a research center (ARC) along with other girls, the investigators experimenting on them and trying to find a way to save the world. A lot of things have happened since then and Zoey is about to get a very shocking message: she might be the key and only hope for salvation. Like I said before, I mostly decided to read the final book of this trilogy because the second book was such an improvement. Unfortunately the main character didn’t change her way in The First City, and I ended up spending most of my time having my patience tested to its limit. It’s a shame a character can influence my feelings about a story in this way, but claiming otherwise would not have been honest. Also, the plot in general sounds too much like your typical dystopian story and some of it was farfetched, but Hiraku’s POV did add a little something extra to the plot. 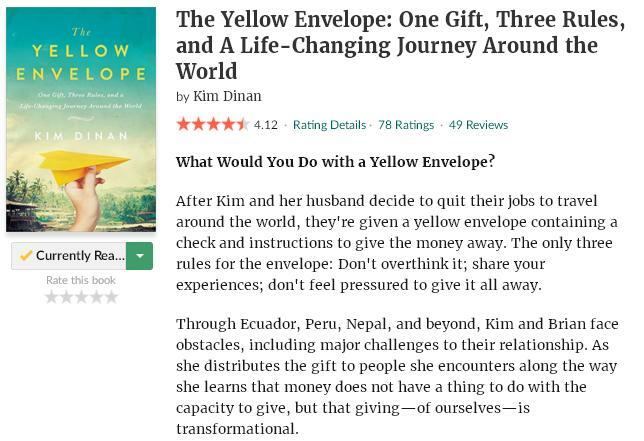 Another pending ARC before I finally pick up one of my own again… I’m currently reading a travel memoir: The Yellow Envelope by Kim Dinan. I enjoy reading non fiction and I love anything that has to do with travel, so I just had to request a copy as soon as I saw it mentioned. I’m not to far into the story yet, but I’ll be looking forward to continue it today. Say hello to little Delilah Bard! 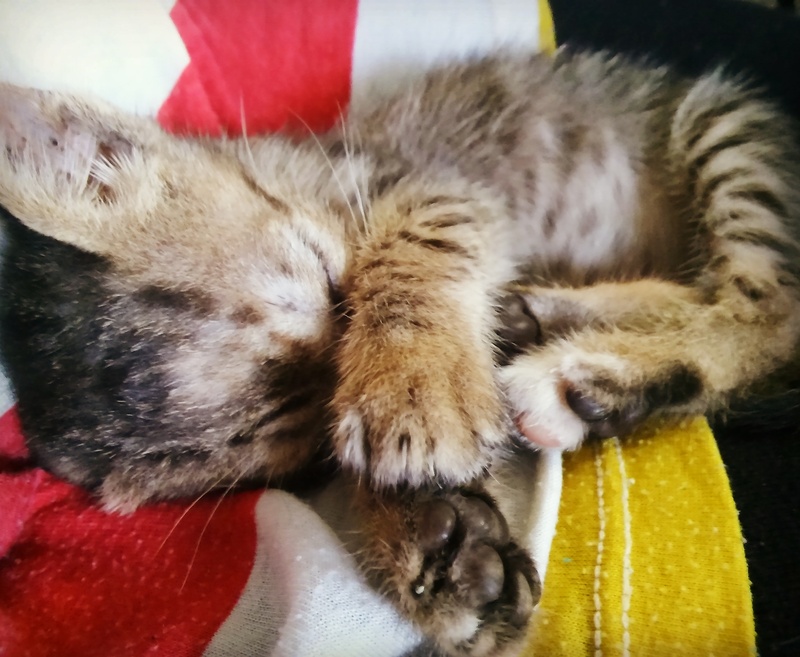 Those who follow my Twitter/Instagram account might have already noticed, but after long thinking we decided to adopt another kitten last Thursday. Meet little Delilah Bard, Lila for short! (And yes, that’s a Shades Of Magic reference. 😀 ) The poor thing was found abandoned when she was a baby and is now about six weeks old… Adopted from the local animal rescue center.